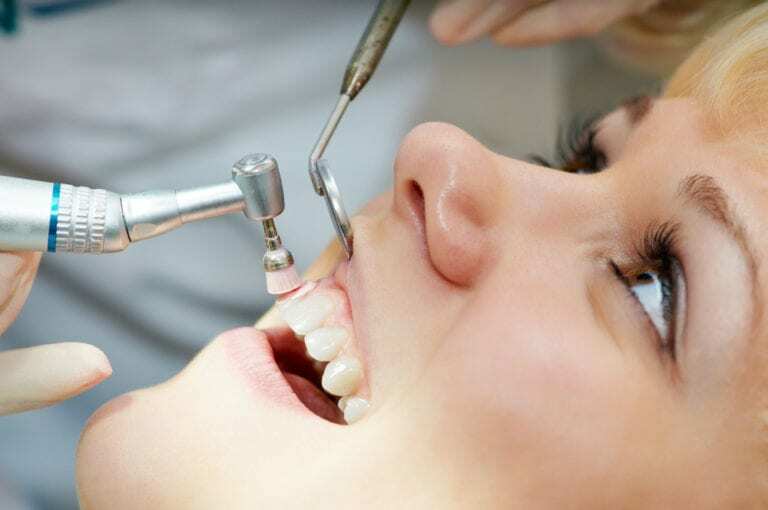 Routine dental cleanings are significant in both the prevention of dental disease and the maintenance of good oral hygiene, healthy teeth and gums. The dental cleaning referred to as a “dental prophylaxis,” or “prophy,” may last between 30 minutes and an hour. It is generally recommended you go in for a cleaning once every six months, but your dentist may recommend more frequent cleanings depending upon the condition of your teeth and gums. Careful dental hygiene and periodic prophy are important tools in the prevention of periodontal disease. Commonly referred to as gum disease, periodontal disease is the number one cause of adult tooth loss in America and affects up to 75% of people at some point in their lifetimes. Our dentist and their dental hygienists are trained to catch periodontal disease early and treat it in its earliest stages. The sooner you catch the condition, the easier it is to treat. Regular tooth cleaning and good dental hygiene, brushing and flossing help remove plaque which is the cause of tooth decay, cavities, caries, gingivitis, and periodontitis. (Plaque is essentially a complex microbial community, with greater than 1010 bacteria per milligram.) If plaque is not removed and accumulates on the teeth and/or under the gum line, it can calcify (harden) and become calculus. Calculus always retains a layer of plaque on its surface. Removal of plaque and tartar from all visible tooth surfaces and supragigival (above the gumline) scaling. Debridement (or removal of dead cells), plaque and tartar beneath the gums. Review for home care and recommendations. Charting of gum attachments (periodontal charting – see chart below) and scheduling of future periodontal care as required. Where do your gum pockets fall on this chart?